The Japanese woodland peony, Paeonia japonica just opened yesterday in the garden! Unlike most other peonies, this one requires light shade, so plant it with hostas and ferns. Our supply of these is always limited, so if you like it, don’t delay in getting one for your garden. The Chinese Paeonia obovata is one of the few peony species that’s grown as much for its seed as for its flowers…the seed last much longer. 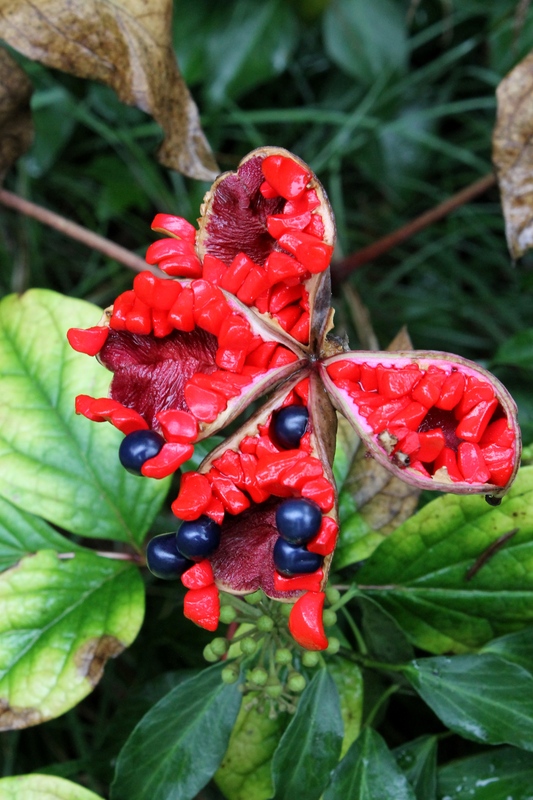 Here’s a photo I just snapped in the garden of its amazing seed pods. Be sure to see this when you visit this weekend for our final Open Nursery and Garden days for 2014. The peonies were insanely beautiful this weekend for open house. 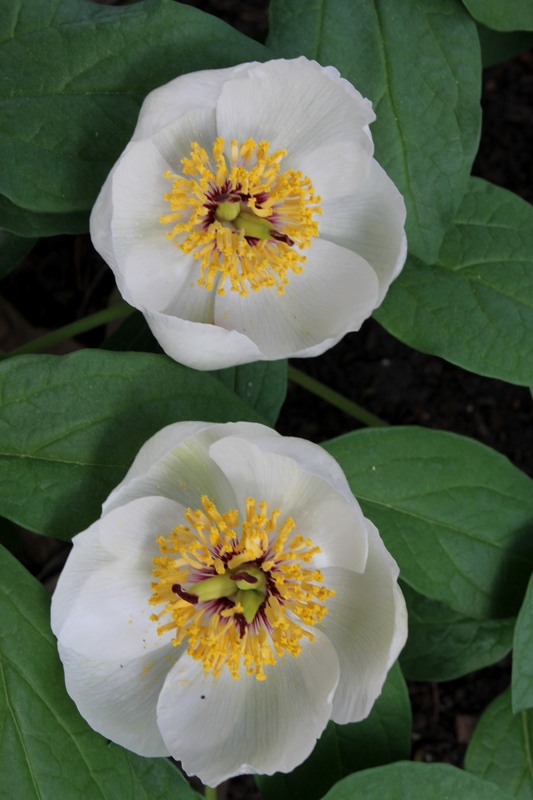 Here’s one of the stars, Paeonia ‘Cora Stubbs’…great sturdy stems and huge, fragrant flowers. 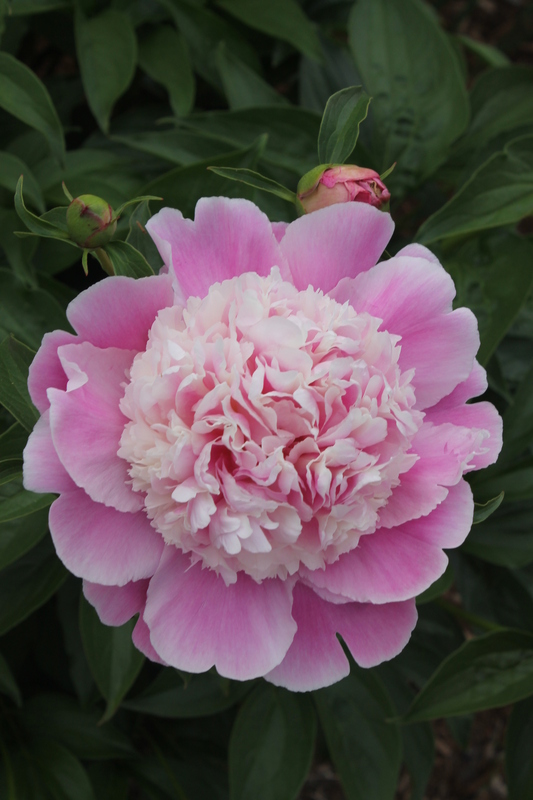 We only offer peonies that we’ve trialed here at Juniper Level Botanic Garden for heat tolerance, great flowering, and good stem sturdiness. Here’s Paeonia japonica in flower in the garden yesterday. 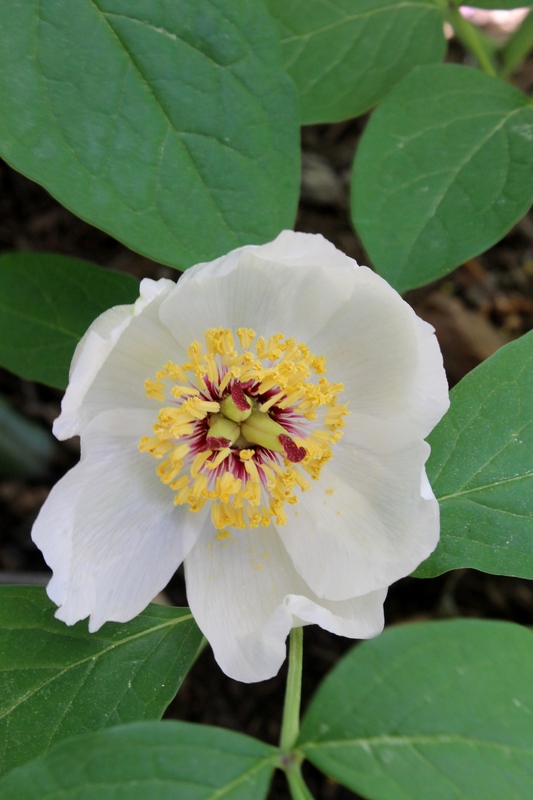 Unlike most peonies, Paeonia japonica will not tolerate full sun, instead preferring to grow in the woodland garden with hostas.